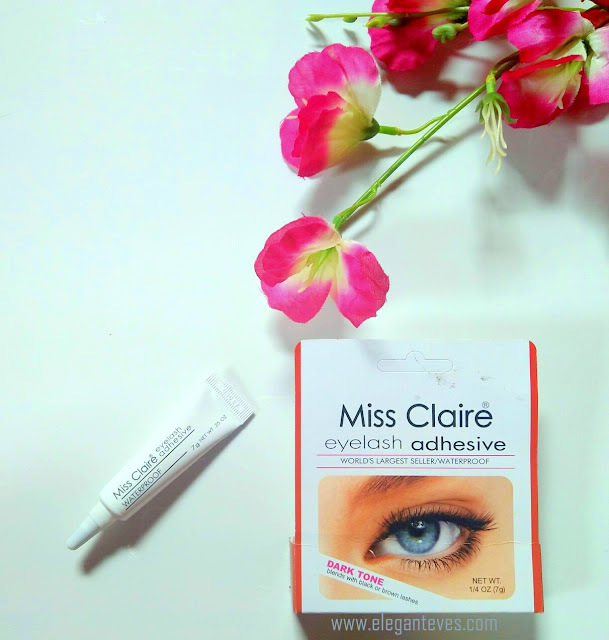 Today I am going to write about an affordable false eyelash adhesive available in the Indian market. 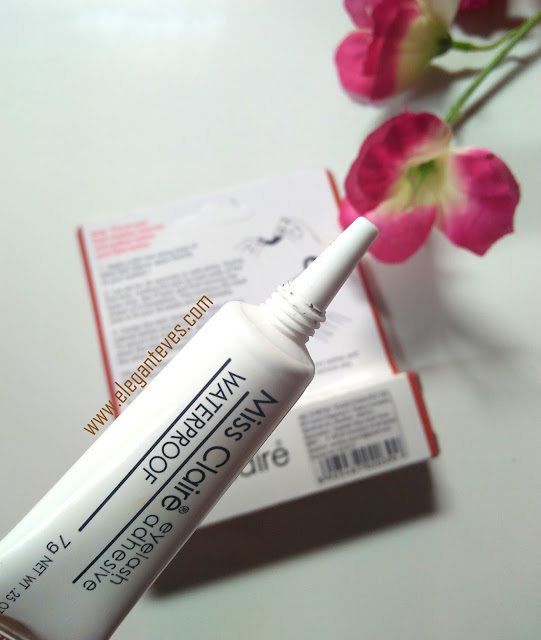 The more expensive and famous lash adhesive “Duo” is the first choice for almost all eye-makeup makeup enthusiasts, but I am a total newbie in false lash application and I needed something more affordable for my first try. But I was also cautious about not using the locally available ones since I do not know what goes into them. 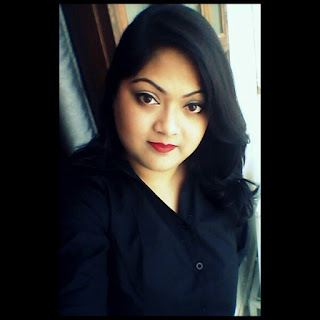 Miss Claire is an affordable Korean brand available in India and I am a regular user of their lip creams and pearl eyeliners (See lip cream swatches HERE and eyeliner swatches HERE). 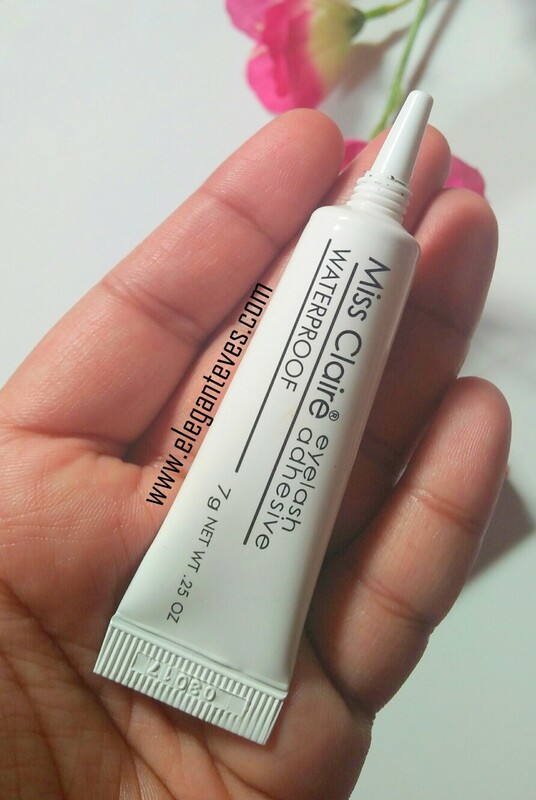 So for my first try, I got myself the Miss Claire Eyelash Adhesive in Dark Tone from Nykaa since there were favourable reviews for the product on Nykaa. Let’s see if this product lived up to its claim. The adhesive comes in a white squeezy tube with a nozzle-tip and it is housed inside a white carton packaging. 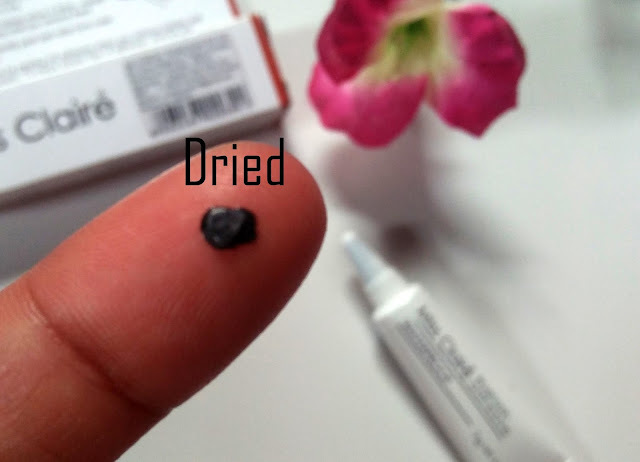 In my first attempt, as per instructions, I completed my eyemakeup (eyeshadow, eyeliner, mascara) and squeezed a drop of the glue on a palette. I have seen many youtubers squeeze out the glue directly on the eyelash band. 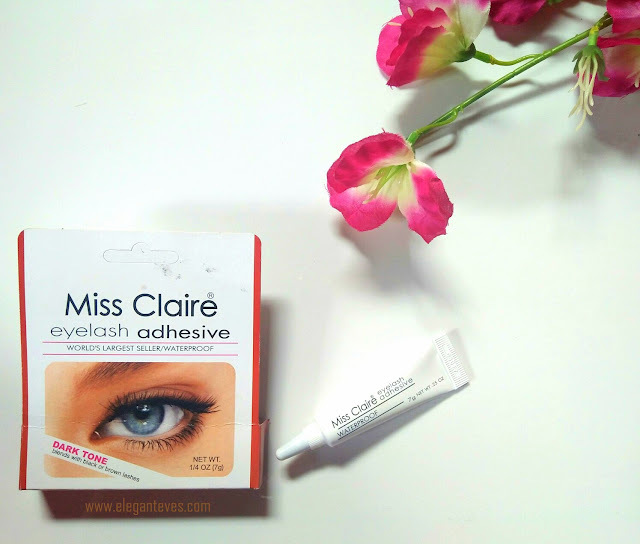 I will strongly advise not to try that with Miss Claire eyelash adhesive since it is runny and you may lose control on the amount and end up messing the band of your false eyelashes. I used the back handle of a makeup brush to apply a thin layer of the glue to the lash band. Miss Claire eyelash adhesive in Dark tone is a deep grey liquid when freshly squeezed out, and then it gradually darkens into black as it turns tacky (We need to wait at least 30 seconds for the glue to turn sticky/ tacky on the lash band before we attempt to stick it on our natural lashline. Coming back to my maiden attempt: After following all instructions, I managed to stick the lashes to my natural lashline, but alas! 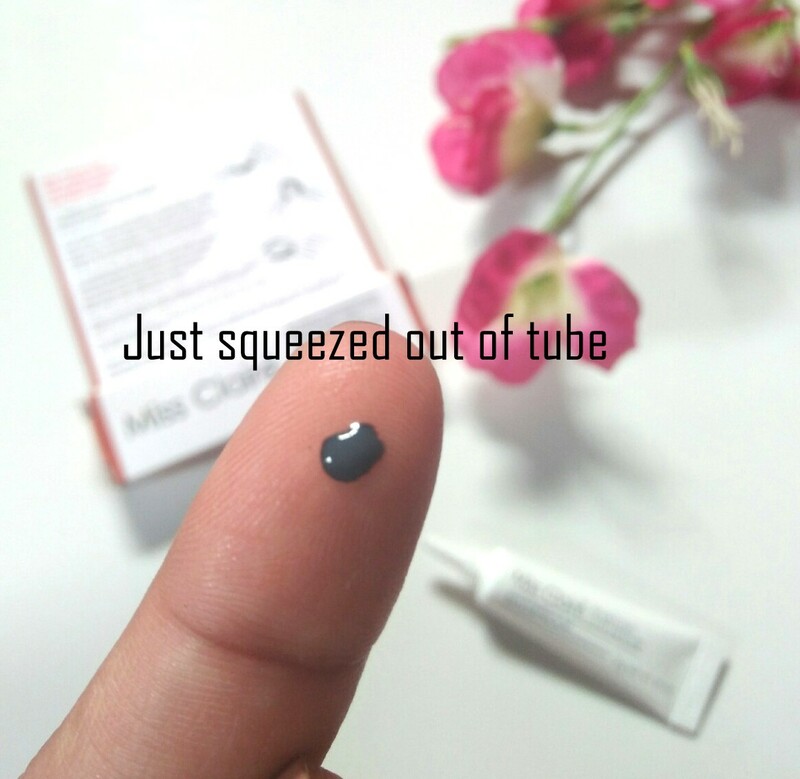 Within five seconds, the inner corner of my false lash band began peeling out L I thought I hadn’t applied required glue quantity and again peeled the lashes off to apply a fresh layer of glue. After two attempts I could finally stick the lash on my eyes. I had to apply a very thick layer of eyeliner to cover the glue "mistakes" :( I clicked two three pictures, and again after some time I saw the same peeling from the inner corners. Now, I felt since falsies with longer lashes are heavier, so this “affordable” glue is not tacky enough to hold these lashes up for long. Surprisingly, in my second attempt, I could fix the same lashes very easily and very fast and there was no issue with the “peeling out from corners”. 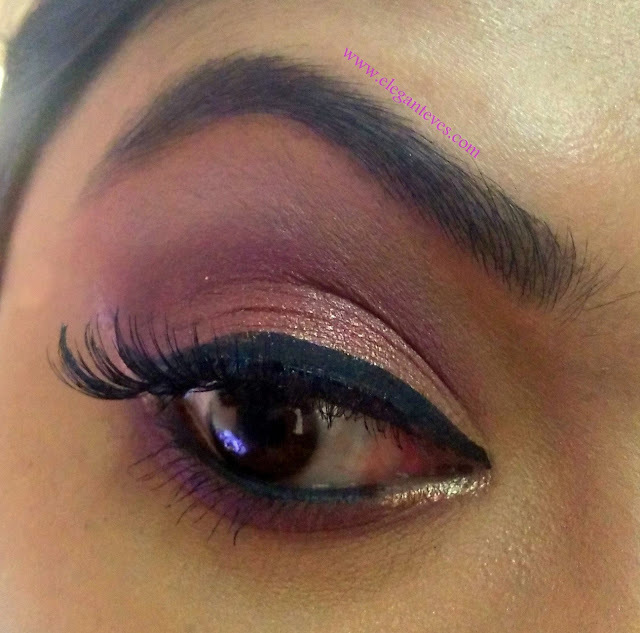 Again, in my third attempt, I faced a very hard time as the lashes were just not sticking to the lash line. After a whole 10 minutes I could finally manage to attach the lashes. 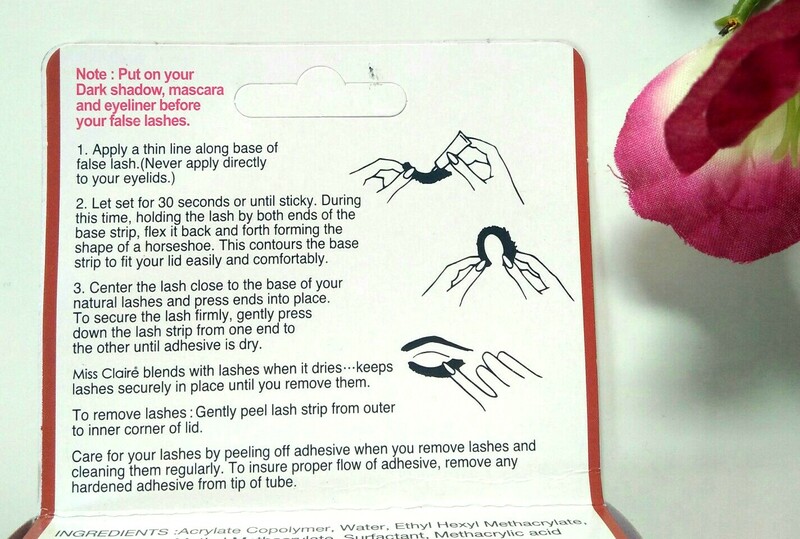 This leaves me very confused about the performance of this lash glue. For my fourth attempt, I plan to use this with a pair of lighter lashes (not dramatic ones) and see if the “holding up” issue is still persisting. I shall update this space with the find-outs. 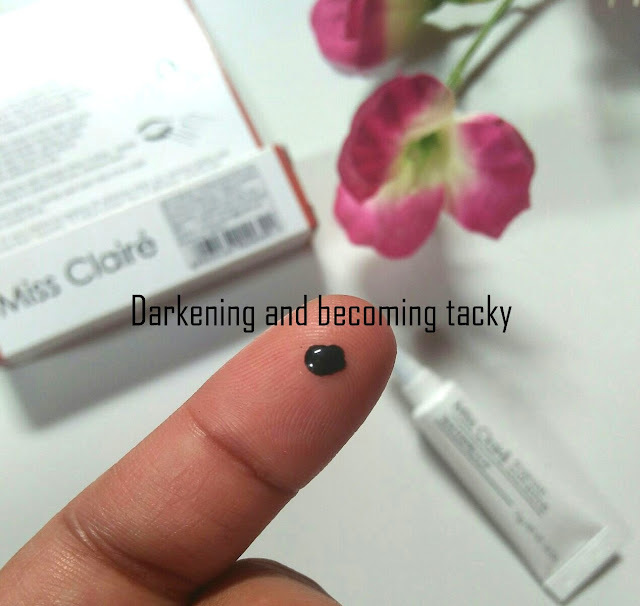 Ø The glue dries up dark and so easier to blend in with black/dark eyeliner. Ø Doesn’t irritate eyes at all. Ø Not tacky enough to hold up dramatic eyelashes. Works fine with lighter lashes though.